Look forward to the “before” video. I assume it took a lot of time to detangle! Thanks for sharing. Hi Cipriana, do you take out your twists before washing your hair. Do you ever where twist outs? I’m glad you posted this video cause last night I was tempted to do a mini chop! I b/c two years ago and for the most part I have good length retention. I was just wondering with the crown area for you did you notice that area would grow out slower? On average I have about 10 inches but the crown area is somewhere around 6 inches. Thanks for all you do! Wow that is a lot of shrinkage from hip length hair!!! 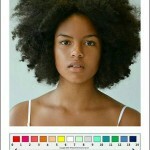 i think the thing that has helped me most in managing my hair came right from this site, miss cipriana! now that i work with my hair in sections instead of as a mass its so much easier to work with. no more massive tangles and ssks are at a minimum. i only have 18sections so far, but as it grows i can see more sections will be necessary. the cool part is my hair just goes right into the sections now! nice! please keep the great advice coming! it really is a natural hair public service! thank you for sharing this video! I’ve been a long time reader of UBB and never commented before. I really appreciate the humor and realness in your videos. I have 4 type hair too and am rocking a twa. I had locs for a long time but I’m currently trying to grow my hair long while keeping it loose. Thanks to your tips aloe vera and coconut oil are now my main stays. 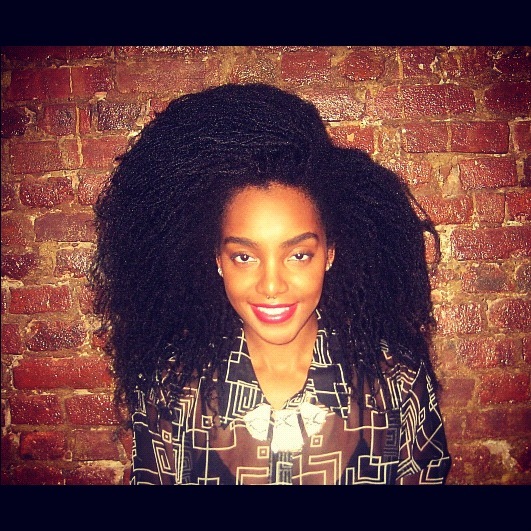 do you think protective styling is a must for twa hair two? My hair ranges from 3-5 inches stretched. Hey @a0ec7ce2a450754cf3bdcbf398d844d1:disqus , well hello ;D So happy you decided to comment and thank you so much!!! You. Are. So. Pretty. LOVE your hair and your spirit. Love this site! hey. what ever happen to the blow out, flat iron video. I think you once put up to see who request the blow out or flat iron? But anyhoo……. I luv youuuuu! Your hair is beautiful. Do u still plan on stretching it out so we can see how long it is? So glad you’ve been safe and sound through hurricaneSandy. Your hair looks so luscious in this vid, you aint never ‘not cute’ honey. Love the video Cipster! Also loving the blouse and necklace ensemble. I might have to ‘ahem’ borrow this for a show…hint hint. You have amazing hair so confident with crazy positive spirit!! “just think of it of Jackie Chan” … you are so funny, cute and funky thanks for the vid. love your hair I’m thinking about following your hair lead lol, I’m twisting to protect my hair for the winter and retain length. Remember when you told us to chose between you doing a twist out, braid out, blow out or flatiron? what happened! we’d love to see! my vote was a braid out! Discouraged about my hair growth. I have 4c hair and developed trichorrhexis nodosa from perms. 1 year after big chop and 18 months post relaxer, my hair is STILL breaking off an inch from the scalp especially at the back .. I guess I’m a back sleeper. What next ? I’m sick of this ‘uneven’ stage with patchy hair, it does not look neat. I stopped all wigs and weaves when i big chopped because i was sick of hiding. Really frustrated and discouraged. I just recently found your site and I love love love all of the tips that you give. I’ve been natural for a year now and I started out using virgin coconut oil and shea butter. 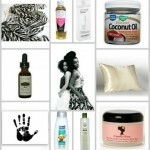 As my hair got longer so did the list of products I used in it. But i found that the one thing that my hair loves is all organic. So now I buy all natural from the health food store and make my own concotions. I love your hair Cipri you are my hair crush.